Once upon a time in a forest, there lived a lion. Although he was considered the King of Beasts, our lion was not…well… the brightest. He was all brawn and no brains. One day while strolling around the forest trying to find easy prey, he spotted a cave. Being siesta time, he was hoping to be lucky enough to trap an animal inside the cave. “There would be nothing like it!” he thought to himself. The lion hadn’t been there long, when the fox that lived in the cave returned. 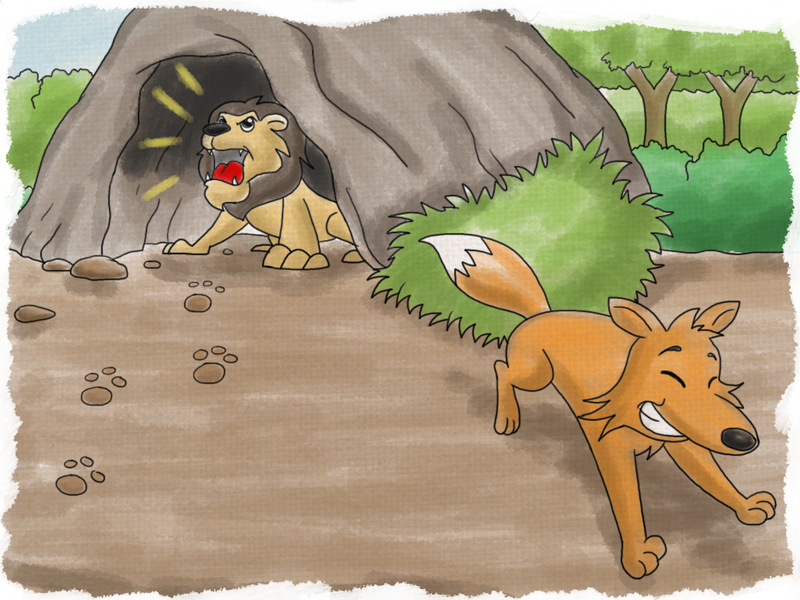 But, the sly fox saw the lion’s paw prints on the sand leading to the cave but none leading out, and he stopped short. Realizing the danger lurking inside, he quickly thought up an idea. Hoping to confuse the lion, the quick-witted fox spoke to the cave. “Howdy cave! How are you this fine afternoon?” he asked. The cave did not answer. The lion listened, not sure of what was going on. 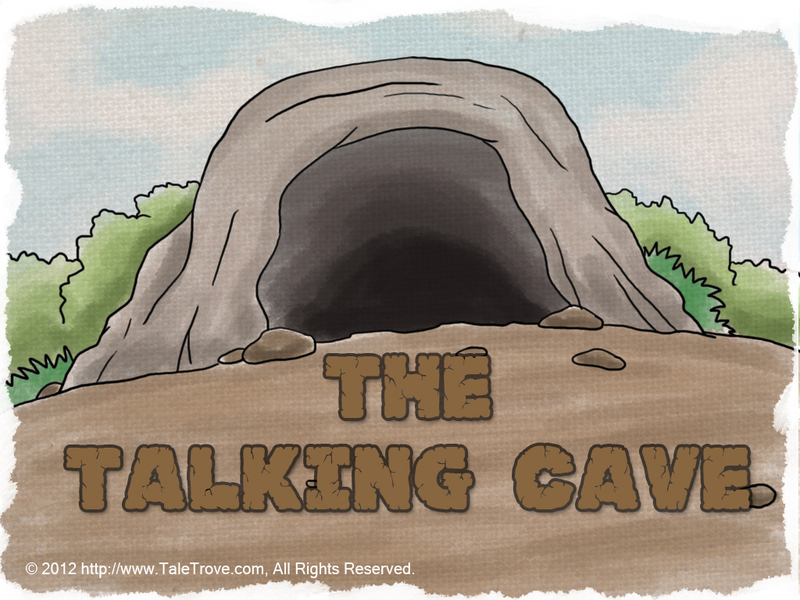 Did the cave really speak? Had the cave dozed off? But still, there came no answer from the cave. The lion didn’t understand what was going on. He remained in the cave listening for a response. 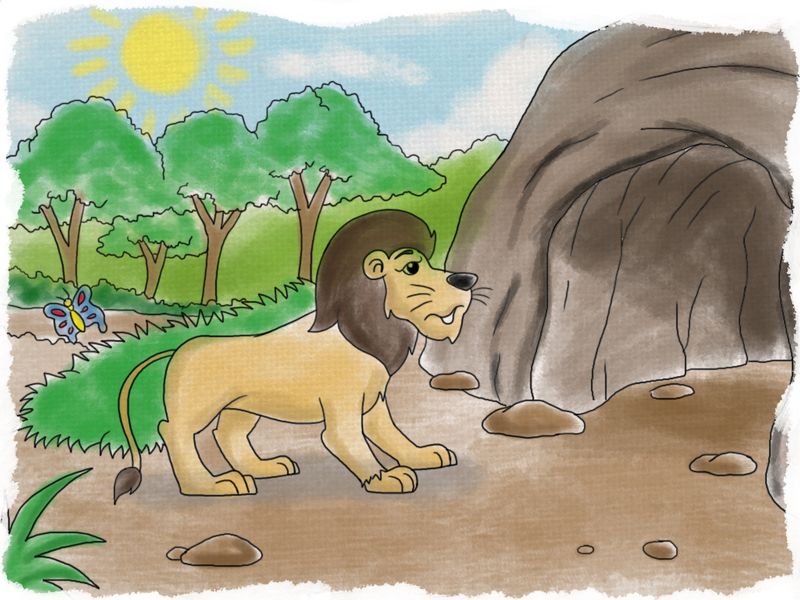 The silly lion who had been waiting for the cave to speak finally thought to himself, “Uh, Oh! My lunch is standing right in front of me. I don’t want to lose it! 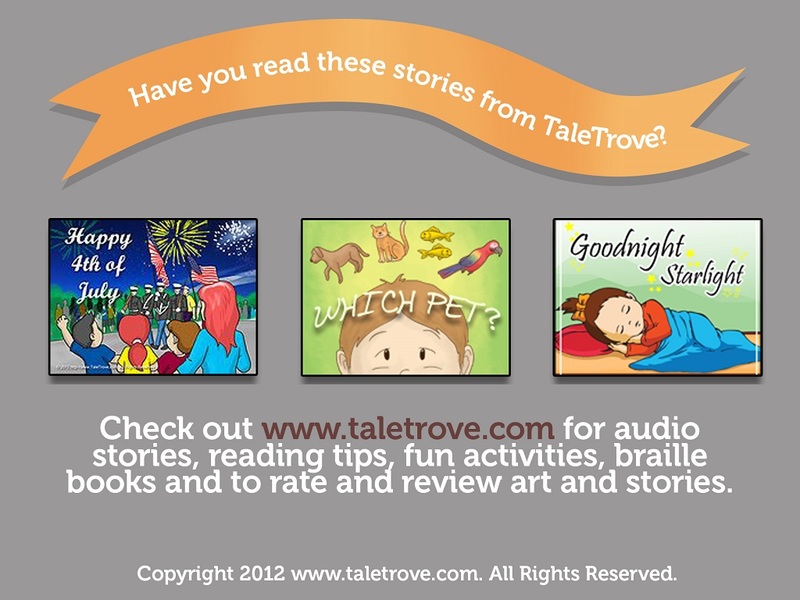 If the cave won’t talk, then I will.” He jumped to his feet to greet the fox. 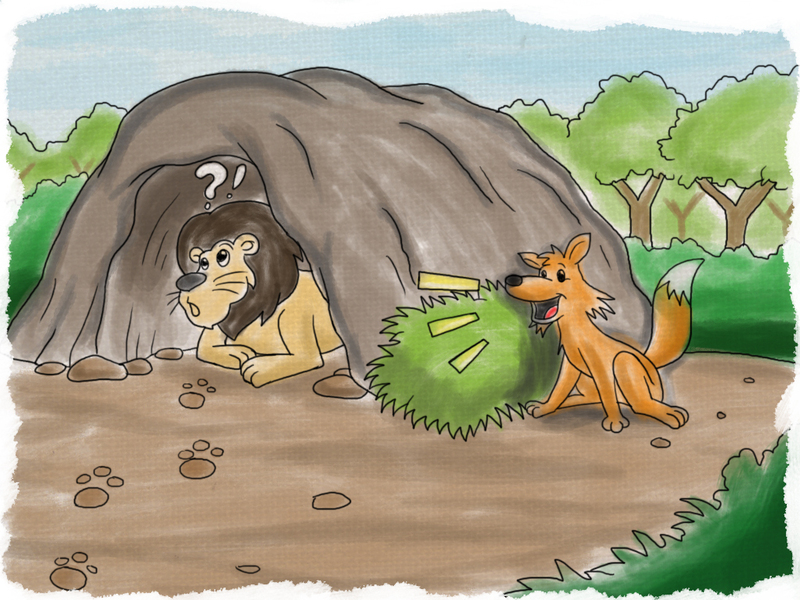 A shrewd fox outwits a silly lion in this folktale.